Dominic has been providing financial planning advice since 1998. 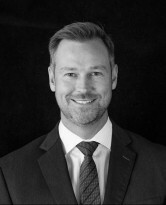 He is a Certified Financial Planner® and Chartered Accountant (Financial Planning Specialist) with a Bachelor of Commerce from the University of Tasmania and a Diploma of Financial Planning from Deakin University. Dominic became a member of the Institute of Chartered Accountants in Australia in 1996, and is also a member of the Financial Planning Association of Australia Limited (FPA), and Association of Financial Advisers (AFA). Luke has been in the financial services industry for over 11 years and has been providing financial advice since 2006. He is a Certified Financial Planner® with a Bachelor of Economics from the University of Tasmania and a Graduate Diploma of Applied Finance from the Securities Institute of Australia. Luke is a member of the Financial Planning Association of Australia (FPA). Cameron has over 10 years of experience in the financial services industry and has been providing financial planning advice since 2010. 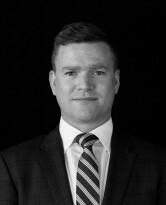 He is a Certified Financial Planner® and holds a Bachelor of Commerce from the University of Tasmania, as well as a Graduate Diploma in Financial Planning and a Masters in Applied Finance from Kaplan Professional Education. Cameron is a member of the Financial Planning Association of Australia (FPA). 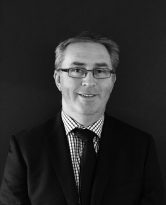 Duncan has worked in the accounting, finance and superannuation industries since 1997 providing accounting, taxation and financial planning advice during that time. 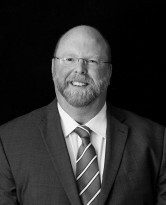 Duncan holds a Bachelor of Commerce and Law degree from the University of Tasmania, a Diploma of Financial Planning from Deakin University and has been a member of the Institute of Chartered Accountants in Australia since 1999. Douglas has had experience in the provision of accounting and taxation advice since 1979 and has been providing financial planning advice since 1996. Douglas attained a Bachelor of Commerce degree from the University of Tasmania in 1987, became a member of the Institute of Chartered Accountants in Australia in 1990 and holds a Certificate of Financial Planning Specialist as issued by the Institute of Chartered Accountants. He became a Fellow of the Taxation Institute of Australia in 1990 and is a full member of STEP. Dean has had experience in the provision of accounting and taxation advice since 1994 and has been providing financial planning advice since 2004. 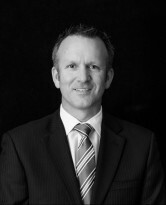 Dean attained a Bachelor of Commerce degree from the University of Tasmania in 1998. He has a Diploma in Financial Services and is a member of the Institute of Chartered Accountants in Australia.